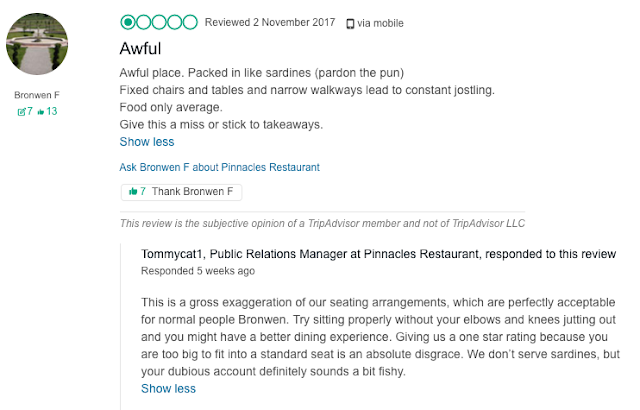 HelpHound Blog: Pinnacles restaurant responds to reviews - and how! 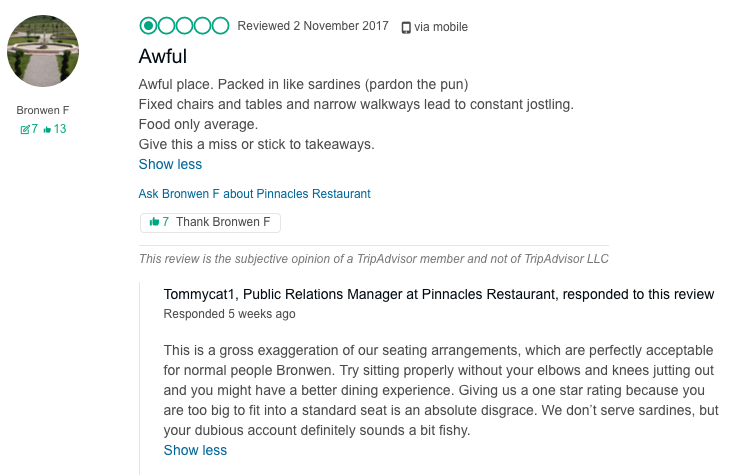 Pinnacles restaurant responds to reviews - and how! ...and here is their listing on TripAdvisor. When you have finished laughing (or crying, depending on your take) there are serious lessons to be learned. 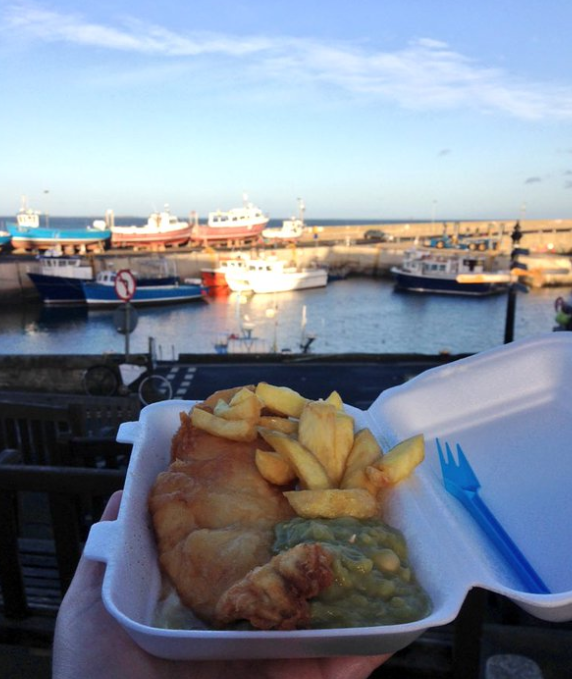 The first is that if a fish and chip shop can make the time and take the effort, so can any business. It is now accepted fact that consumers will choose a business that responds to review over one that does not. ...we are not for one moment suggesting that the Ritz take a leaf out of Pinnacles' book as to tone, but content? Certainly - Pinnacles' responses address the issues raised by their reviewers, and this impresses readers. Mostly the Ritz, when addressing negative reviews, adopts the all-too-common approach of 'we have dealt with this privately' or 'please contact us/we will contact you' which leaves the reader of the review none-the-wiser. ...with a low score and reviews left unanswered. Hospitality would do well to remember that Google reviews are seen first, especially mobile, and give them just as much attention as those on TripAdvisor and the OTAs. If you are in any doubt as to the mechanics of responding to reviews on Google, or any other platform - or if you feel a review is incorrect or unfair and would like advice on appealing it (as did Nearwater in St Mawes in this interesting case) just call us and we will advise you.